This eurosham has a beautiful large floral quilting pattern, exquisitely hand finished with thousands of delicate french knots. Available in ivory or white with matching bedspread and pillowshams. 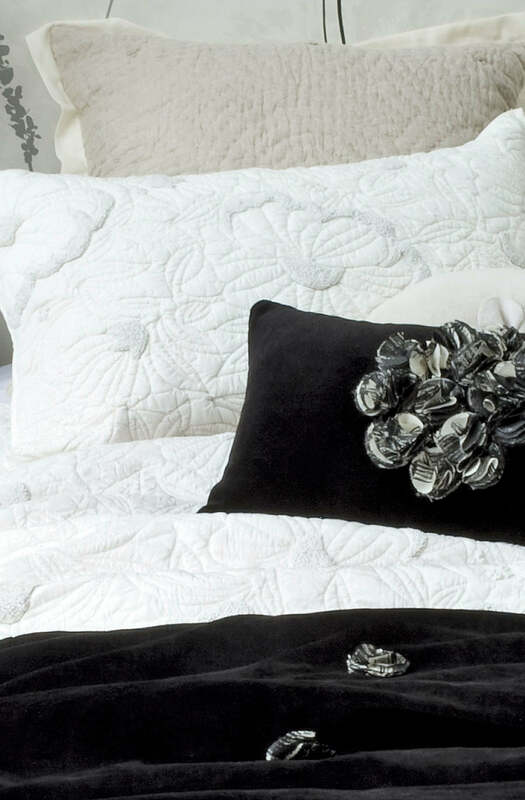 Please note this image is of the Magnolia Ivory pillowsham.